The plain of Bagan is one of the most interesting places to spend a few days, but it's particularly good in January. In preparation for the first full moon of the year, thousands of villagers set up camp around the Ananda temple. Between the pagodas, monasteries, markets and encampments, there are great photo opportunities at every turn. 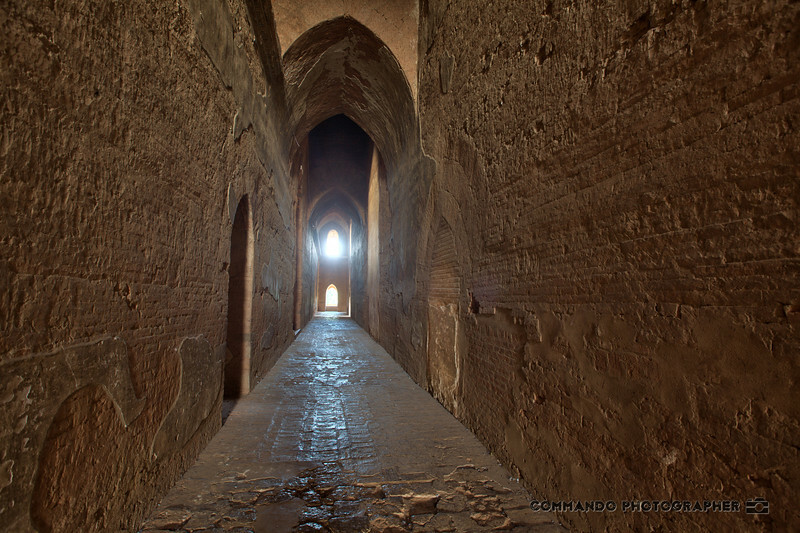 The mysterious interior of one of the great temples.